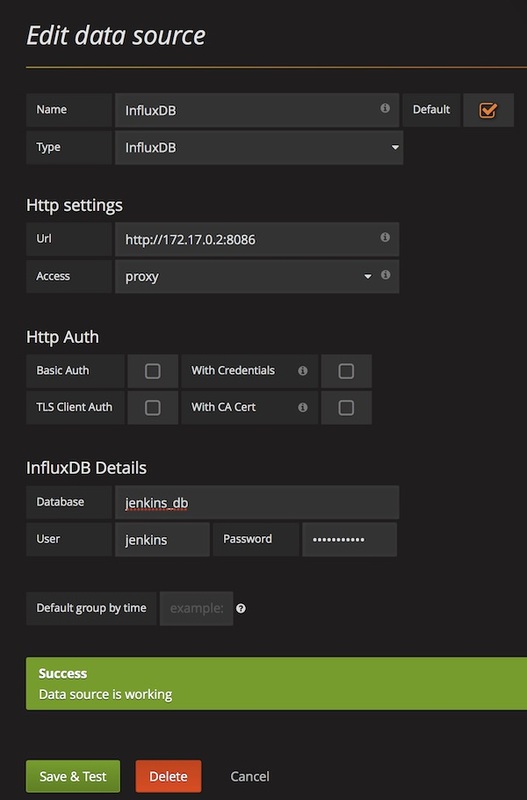 Today an basic introduction to Jenkins, InfluxDB and Grafana. Docker is used to save some time. Okay,… let’s start. 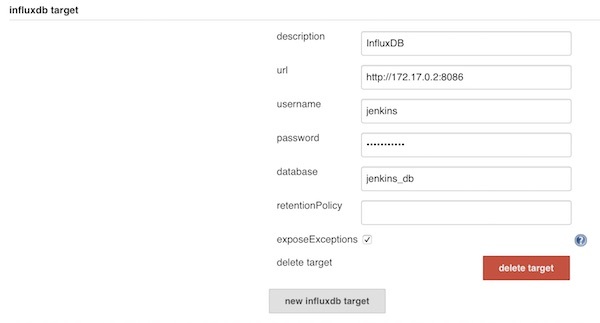 Now open your favorite browser with URL http://localhost:8080 and unlook Jenkins with following steps. Next, the InfluxDB plug-in must be installed. 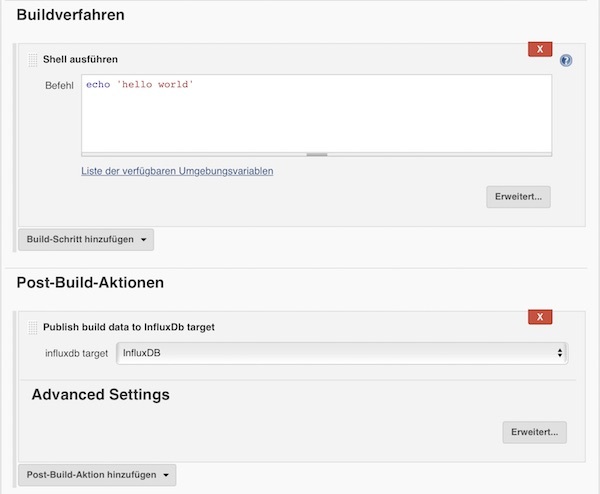 $ curl -G http://localhost:8086/query --data-urlencode "q=CREATE USER jenkins WITH PASSWORD 'password123' WITH ALL PRIVILEGES"
$ curl -G http://localhost:8086/query -u jenkins:password123 --data-urlencode "q=CREATE DATABASE jenkins_db"
$ curl -G http://localhost:8086/query -u jenkins:password123 --data-urlencode "q=SHOW USERS"
$ curl -G http://localhost:8086/query -u jenkins:password123 --data-urlencode "q=SHOW DATABASES"
$ curl -G http://localhost:8086/query -u jenkins:password123 --data-urlencode "db=jenkins_db" --data-urlencode "q=SHOW MEASUREMENTS"
Save and create a new freestyle job. For example with following configuration. When you are done, run the job. 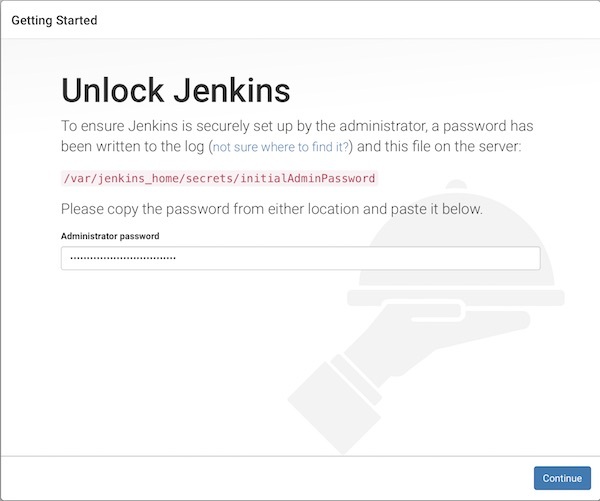 $ curl -G http://localhost:8086/query -u jenkins:password123 --data-urlencode "db=jenkins_db" --data-urlencode "q=SELECT * FROM jenkins_data"
Open you browser with URL http://localhost:3000, login with credentials (admin/admin) and add a new InfluxDB data source. From now on, you can create and share dashboards in Grafana, which shows all Jenkins metrics.